Wrigley Field is located on the North Side of Chicago, specifically in Wrigleyville’s Lakeview enclave. The field first opened in 1914—with the Chicago Cubs playing their first home game there in 1916—making it the second-oldest MLB field after Boston’s Fenway Park. Wrigley Field is distinguished by its outfield wall covered in ivy, manually operated scoreboard, and its location in a primarily residential neighborhood. Fun fact: Lucky (and enterprising) neighbors of Wrigley Field have built bleachers on their roofs for prime bird’s-eye views of Cubs games, with some charging fees for admission. 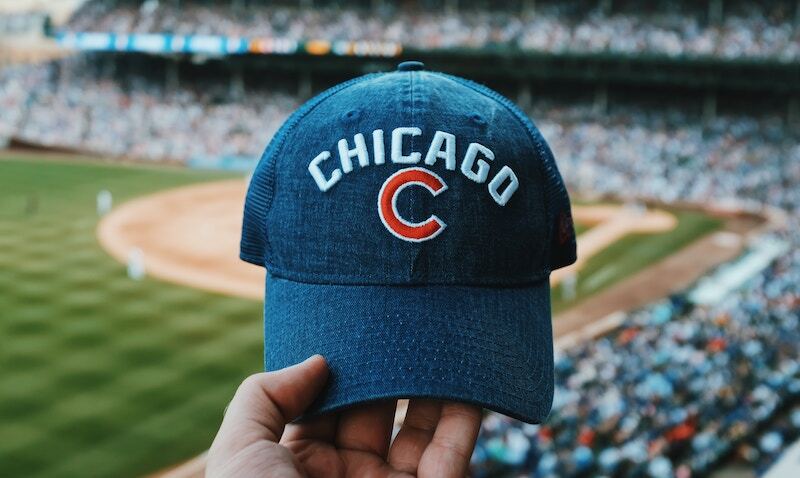 The Chicago Bears call Wrigley Field home, playing games for loyal fans during the MLB season, which lasts from early spring through mid-autumn. Wrigley Field began hosting summer concerts in 2005 to the dismay of worried neighbors but to the delight of Chicagoans at large. Billy Joel, Pearl Jam, and Lady Gaga are only a few artists who have performed at Wrigley Field over the past few years. As per MLB regulations, only bags and purses with dimensions under 16” x 16” x 8” are permitted into Cubs games at Wrigley Field. It’s worth noting, however, that Wrigley Field offers express-lane entry for visitors without bags. If you’d like to take advantage of express-lane access and attend the game with your hands and shoulders free, it’s worth booking bag storage with Bounce before heading to the game via public transportation. Bounce is also a great option for Chicago luggage storage if you’re coming directly from a train station or airport.